So you just got a Samsung Galaxy S7 or S7 Edge. Now what? 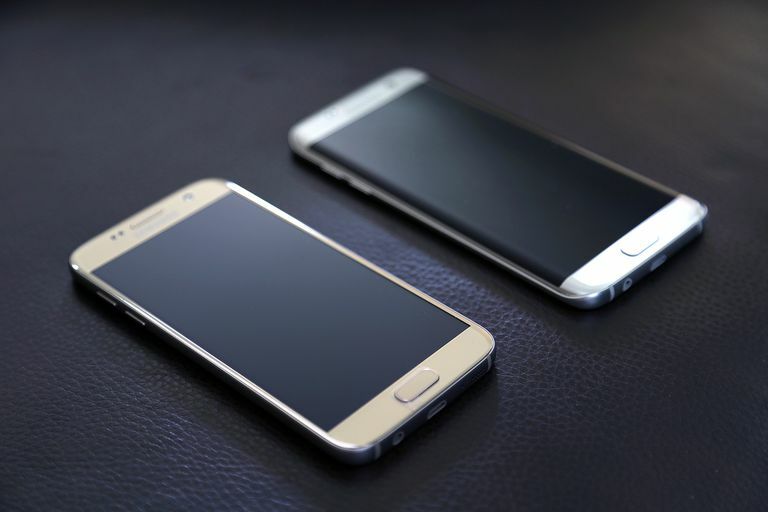 Maybe you’re upgrading from the previous year’s Samsung Galaxy S6 and S6 Edge. Perhaps you're switching over from one of the other Android smartphone stalwarts such as the HTC One M9 or LG G Flex 2. If you’re still trying to find your sea legs and aren’t quite sure how to use your brand-spanking new phone, here’s a collection of useful tips and pointers to get you started from my time with variants of both devices. Although the directions below are specific to Samsung Galaxy S phones, they may still apply to other Android phones including those made by Google, Huawei, Xiaomi, etc. The quick menu: To get to frequently used settings quickly, just swipe downward from the top of your phone screen to bring up the quick menu. Voila! Now you can activate or turn off Wi-Fi, location services, Bluetooth, screen auto rotation and volume. For more options, tap on that upper right arrow that’s facing down and you’ll get several extra icons for features such as airplane mode, mobile hotspot, power saving, flashlight, NFC, mobile data, sync and more. Go to Display and wallpaper. Activate the option to Keep screen turned off. This will prevent the phone from turning on in a dark place like your pocket or purse. Changing your main font: If the default text looks, well, too default for you, no worries. Just launch the Settings app, go to Display and wallpaper, tap on Font and pick a new one that better suits your tastes. In addition to the extra fonts included, you can download new ones as well. Moving apps to the home screen: Looking to move one of your favorite apps to the home screen? Simply go to your home screen of choice, tap on the Apps icon on the lower right bar and find the app you’re interested in. Hold the icon, then drag it into the home screen. Adding windows to your home screen: If you want to add additional windows to your home screens, just tap and hold an empty spot on the home screen. This will show you minimized versions of all your home screens. Just swipe to the right until you see a blank window with the plus sign and just tap on that. You can also use this minimized view to remove a window by touching and holding the window you want to take out then dragging it to the trash can icon. Managing apps, wallpapers, themes and widgets: This starts out the same way as adding windows to your home screen. After touching and holding an empty space, look at the bottom screen and you’ll see a new bottom menu. Options from this menu include switching wallpapers and themes, adding widgets and changing the screen grid for the number of apps that can fit in a home screen. Screenshot: Ah yes, the good old, reliable screenshot function. Things haven't really changed that much for Galaxy vets as taking a screenshot still requires holding the Power and Home buttons at the same time. As with the previous models, you also can tap into your inner kung fu master by shaping your hand into a knife then swiping the side of your palm across the screen. If doesn’t work, go to Settings, then Advanced Features, then make sure Palm swipe to capture is on. Quick Launch Camera: What about the times when you need to take a quick shot with the phone camera? Just double tap the Home button quickly and this will take you to camera mode right away. The Samsung Galaxy S7 and S7 Edge share “Advanced features” that can be accessed as a menu option via the Settings app. Here’s a rundown of the features and what they do. Direct call: Want to call someone ASAP? This feature allows you to automatically call a contact whose call log, message or contact details are on the screen when you put the phone against your ear. Easy mute: The sound of silence isn’t just a song. Enabling this allows you to mute your phone simply by placing the palm of your hands on the screen or turning over your phone face down. One-handed operation: This one is especially handy for the S7 Edge, whose big screen is great for watching videos but can be a challenge to operate with one hand. When enabled, one-handed operation allows you to press the Home button three times to shrink your screen. You can also use it to shrink the keyboard for easier one-handed typing. Pop-up view: This one lets you easily switch a fullscreen app into a smaller pop-up view mode. Just swipe downward diagonally from either top corner and you’re all set. Palm swipe to capture: As mentioned in the screenshot tip earlier in the article, this allows you to take a screenshot with a knife-hand gesture while swiping the side of your palm across the screen. Smart capture: Enabling this will show options for sharing, cropping and capturing hidden parts of the screen after you take a screenshot. Smart alert: This feature makes your phone vibrate when you pick it up to alert you about missed calls and messages. The Samsung Galaxy S7 Edge gets extra functions over the regular S7 thanks to its, well, screen edge. These include Edge panels that show apps, contacts and news. You also get Edge feeds that can be used for sports scores, news alerts and missed calls. Lastly, there’s Edge lighting which makes the edge of the screen light up when receiving calls or notifications while the screen is facing down. Did You Know Your Galaxy S5 Can Do These Things?